If you want a fun-to-drive convertible top that doesn't skimp on luxury, the A4 Cabriolet is a viable alternative to the omnipresent BMW 3 Series. It looks and drives well but you won't see another one every time you go out for a drive. Good for looks and performance; not very practical. It is nice car for sporty purposes. It is not great for long trips as it is very low to the ground (sometimes hard to get out of if you have physical mobility issues). Being so low also means things like speed bumps can sometimes scrape the lower edge. The trunk is not very big so it cannot carry too much. The lights on the dash come on all the time too, even though there is nothing wrong with the car. The display keeps having to be manually reset and either the technicians always forget to do it, or there's something wrong with the settings. Granted it is 10+ years old, but has been well maintained and kept inside and has low miles. The Audi a4, the good and the bad of one of the best cars. I have problems with my coolant leaking as well as high oil usage. The gas mileage is not the best, and it does require premium gas so it is more expensive. I love my leather seats, they are very comfortable. The space for passengers in the back is small and can be slightly cramped. I love how it is semi-automatic and that it contains sports mode. The drive is very smooth. The design is still modern despite it being a 11 year old model. Fast and sticks to the pavement when maneuvering quickly at high speeds. The a4 is small but has a spacious inside that makes it comfortable for at least 2-4 people but not for the 5 people it is designed to carry. It is not ideal for small children because small children step and bump into almost everything in the vehicle. Performance is outstanding and handling and speed are the most favorite aspect of the vehicle. Gasoline is expensive but it does get good gas mileage. 2007 Audi A4 Quattro AWD. Heated Seats. Sunroof. 97k mi. 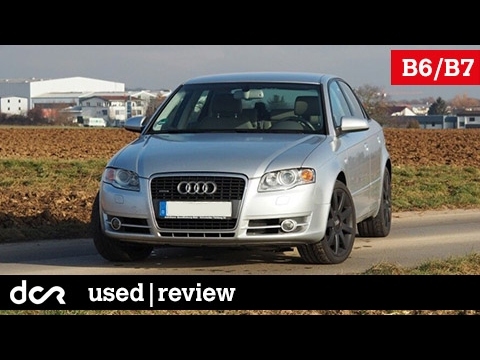 2007 Audi A4 3.2 Review! This much fun for under 10k?